The competition opens at 00:01, and closes at 23:59 on Friday 18th May 2018. Entries received before and after this time will not be accepted. 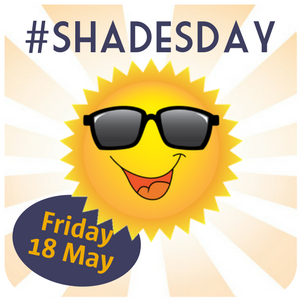 The competition can be entered by posting a photo of yourself wearing sunglasses or sunglasses props on social media using the #ShadesDay hashtag. The prize will be a Specsavers voucher to the value of £150.00 that the winner may use to purchase a pair of designer sunglasses. There will be one winner. The winner will be contacted by the Family Holiday Association and will be asked for their home address which will be shared with Specsavers, to arrange delivery of the prize only.